So join us to relax, charge your phone, grab lunch, chat and mingle, and get the inside scoop on all we have going on at Market. And we’ll have swag like always, including access to the Steelyard Nail Polish Trail Vault! The Steelyard Market Experience is already loaded with fun, but we decided to add a little more. Because let's be serious - can you ever have too much fun? And more importantly - who doesn't like winning things? 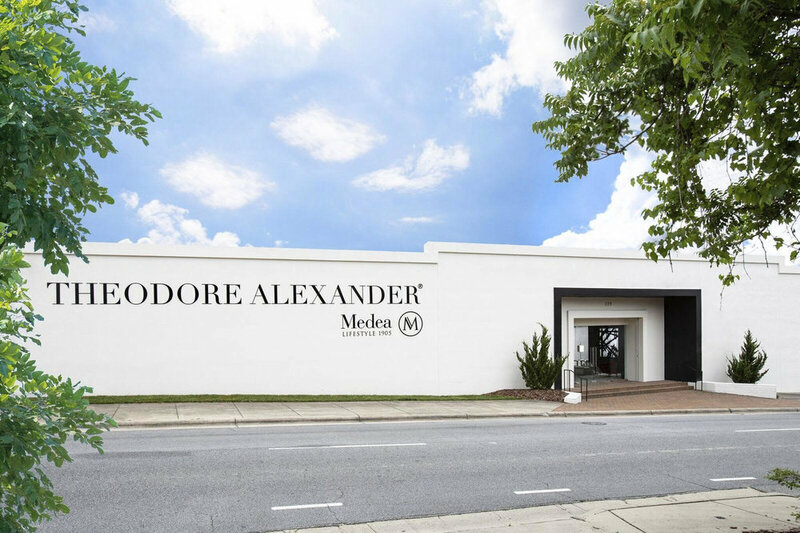 We've got a $5,000 merch credit from Theodore Alexander, a HPMKT travel voucher, plus a chance to win a VIP meet and greet with the principals of Carrier and Company thanks to Century. To do: Snap a photo with the Howard Elliott products on the Steelyard Trolley and post to Instagram. The tags:: #HECinHP and #SYTrolleyContest plus tag us @howardelliott + @steelyardaccess. The rules: Get creative because we will select the photo with the most likes to win. The Prize: $250 Howard Elliot Collection Credit! And the winner is: chosen after Market and notified via DM on Instagram. To do: Follow the Steelyard Nail Polish Trail and collect all 8 of the April 2019 colors. Snap a photo of each or with the full collection and post it to Instagram or Facebook. The rules: You must collect all 8 nail polishes and tag your photos. And the winner is: announced on Steeyard’s social media sites around 5pm on Monday 4/8. We’ll DM to arrange prize delivery. To do: enter to win here. The rules: You can only enter one time. There will be 10 winners chosen by Century at random on Saturday 4/6. Steelyard will notify you by 9pm to let you know you won and you must confirm your spot by 9am on 4/7. The Prize: 10 lucky winners will get to experience a private meet and greet with Jesse Carrier and Mara Miller, the principals of Carrier and Company. You will also receive a signed copy of their book, Positively Chic Interiors. And the winner is: chosen by Century at random on Saturday 4/6. Steelyard will notify you by 9pm to let you know you won and you must reserve your spot via email/text reply by 9am on 4/7. To do: Take the best Instagram photo at High Point Market! The tags: add an image to Instagram with the hashtags #5KGIVEAWAY and #TAHPMKT to enter. The rules: There is no limit to how many entries you can submit. The more engagement on your image, the better chance you have to win. Follow Theodore Alexander on Social Media for more info! Prize: $5,000 product or order credit. And the winner is: chosen internally by the Theodore Alexander team on Friday, April 12. Winner will be contacted via DM.